Soren Beech (pictured above) hails from New Zealand. He started his bicycle tour in New York, then made his way down to Washington, DC. He rode the C&O Canal Towpath Trail and Great Allegheny Passage to Pittsburgh, PA. 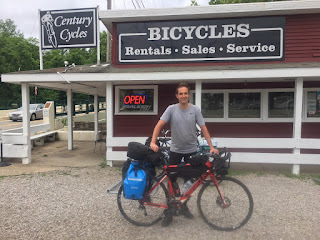 He continued pedaling on into Ohio, where he stopped for a visit (and to get a broken spoke fixed) at the Century Cycles store in Peninsula. 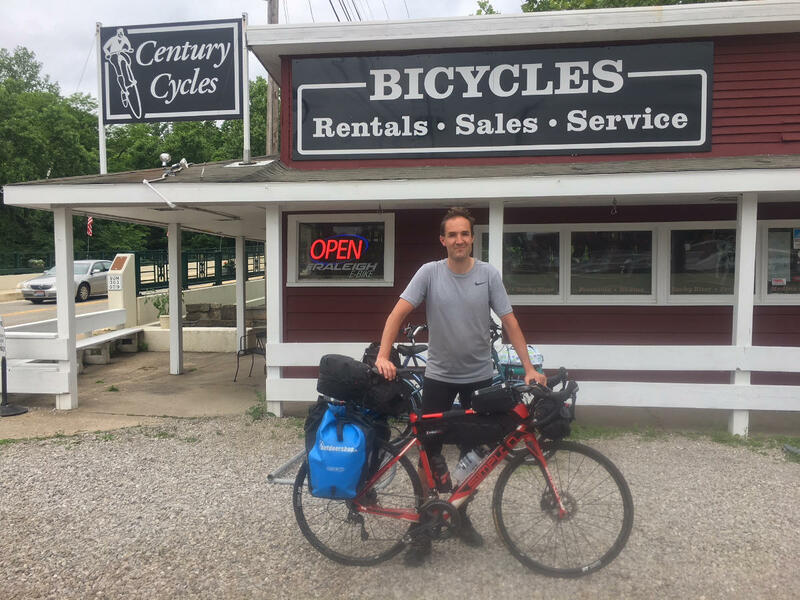 He plans to continue west on the Adventure Cycling Association's Northern Tier bicycle route to Astoria, Oregon. We get many long-distance bike travelers in all three of our stores! You can see photos of many of them in our Bicycle Touring Photo Gallery.